The recently announced system partnership agreement between advanced automation systems provider HepcoAutomation and worldwide robot manufacturer KUKA brings together two proven specialists in the field of automation. 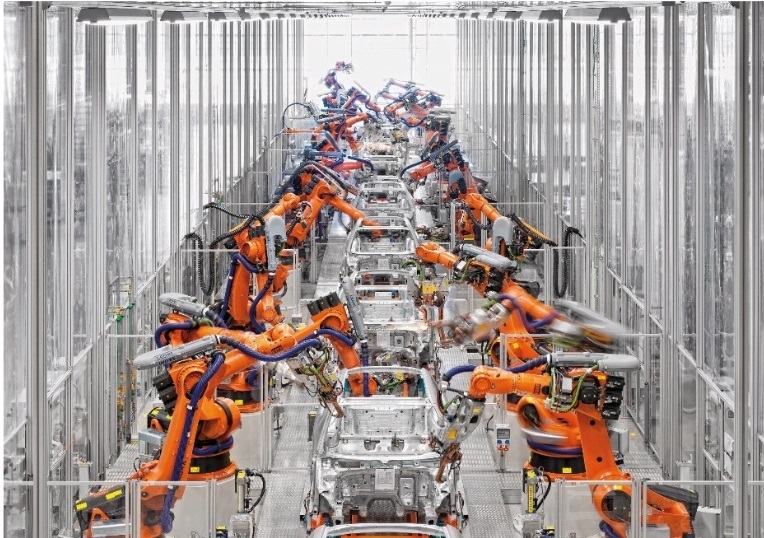 HepcoAutomation’s undoubted integration skills linked to KUKA’s extensive range of robots will broaden the appeal of robots for a whole host of tasks, from heavy load lifting to light assembly operations. KUKA has a wide range of industrial robots and a worldwide reputation for innovation, the range of robots are used extensively in the automotive industry and have now become the default name in many other industries. The partnership agreement with HepcoAutomation will provide users with specialist advice with their automation projects and an integration service that will enable maximum efficiency to be gained from the installation. Customers will be able to discuss their projects with both engineers from KUKA and HepcoAutomation at KUKA’s Wednesbury headquarters where they will also be able to see robots in action. HepcoAutomation provide the necessary integration including installation, training and on going customer support in conjunction with KUKA. HepcoAutomation based in Telford is a division of HepcoMotion, the advanced linear motion manufacturer of the highly reliable V guide system. The HepcoAutomation team is led by General Manager Mark Bragg who can offer many years experience in solving automation problems. Services include machine upgrades, turnkey machine builds, cartesian gantries, servo and robotic solutions, together with vision systems plus all the necessary tooling. Assembly and testing is carried out at Telford, with additional production support from HepcoMotion’s extensive manufacturing plant in Devon. “To be involved with a household name like KUKA will benefit our existing and future customers greatly as we will be able to provide and support a much larger range of robot solutions” says HepcoMotion Sales Director Christopher Rees.